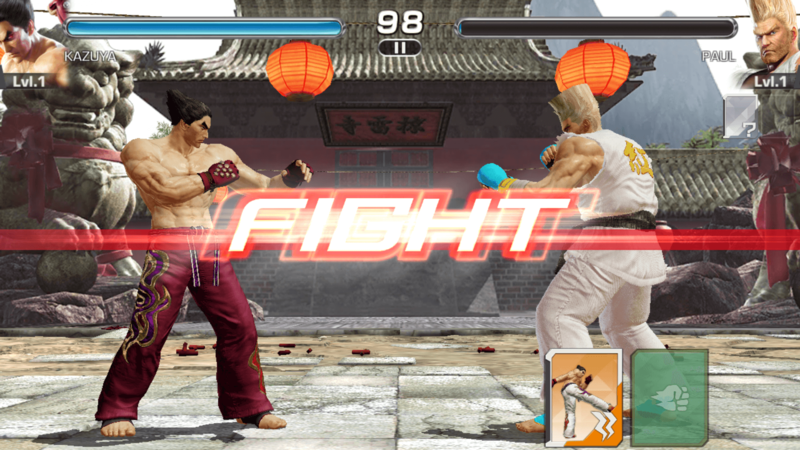 From an arcade game to a slick mobile brawler, Namco’s Tekken has come a long way. On your Android device, it’s one of the best fighting games right now. The game boasts simple touch-based controls, superb visuals, splendid fighting moves and a plethora of your favorite characters. Tekken Mobile has 4 game modes – a story mode, Dojo mode, where you fight other players in asynchronous PvP fights and a Local Versus mod, which will be coming soon so keep an eye on future updates. The story mode contains acts, which are further divided into five chapters. Completing all five chapters will unlock the next act. Each chapter contains several battles, including a boss fight. Dojo mode has a nice best of 3 fights. You can set your own defenders or attack a random player’s defenders to win rewards. If you want to win battles, defeat players in Dojo matches, know how to perform Waza rushes and get those combos right, follow our tips, hints and tricks. But before that, check out this short, helpful gameplay video. You can move your character by swiping the screen. Swipe left and your character jumps back. Swipe right and your character moves forward towards his opponent. For best results use both hands when playing a match. This will help you move your fighter and attack at the same time without much effort. A Basic or Normal attack is quite effective than other fight moves. Tap the right side of the screen to perform this attack. Since normal attacks are pretty quicker to perform than other attacks styles, you can easily chain combos to pin your opponent on the ground. You just have to tap the screen faster. Heavy attacks are slower than normal attacks but can be very effective as guard breaks. To perform a guard break against a character blocking your attacks, press and hold on the right side of the screen. Your opponent will do anything to reduce your HP as fast as possible. Your best bet against rapid attacks and Waza strikes is blocking. You can block such attacks by pressing and holding on the left side of the screen. Your team rating should be higher than the recommended rating of a chapter. With a higher rating, it would be easy for you to fight tougher opponents. 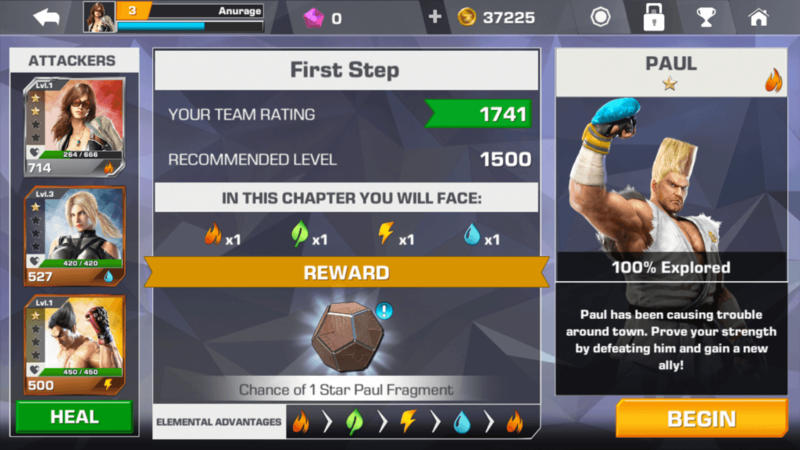 Tap Fight > Story > Act 1 and then tap an unlocked chapter to view your team rating as well as the recommended rating for that particular chapter. The total team rating is actually the combined “Power” points of all selected fighters. To increase your team rating, you will have to increase your fighter’s power. Go to “Fighters” and tap a character, next tap “Level-up” and then use shards to level up your fighter. This will not only increase his power, but also key stats such as Basic Attack, HP Bonus or Waza attack. Under “In this chapter you will face” section, you will notice icons denoting all 4 elements (fire, earth, water etc.). Build a team based on this info. For example, if this section shows 2 fire elements, then you may be facing 2 characters that belong to the fire element. In such cases, it would be wiser to have a water element character in your team as water has an elemental advantage over fire. Remember you won’t get any elemental advantage over your opponent if both fighters belong to the same element, or two different elemental fighters are pitted against each other (Earth vs. Water) so keep this in mind while building your team. Each element is stronger or weaker than the other: Fire > Earth > Electricity > Water > Fire. A Tekken Mobile fighter has a set of 9 Waza cards. They can be used to deal more damage to opponents. You can find those cards on the lower right corner of the screen when the fight begins. Tap a card to use it. You can use a guard break card to break through your opponent’s defenses or a strike card to deal maximum damage to your opponent. You can make the most of basic attacks by using a Waza card with them. What you can do is tap the right side of the screen rapidly to chain a combo of normal attacks to pin down an opponent to the ground. When he gets up, quickly use a Waza strike card (red, orange or green card) to deal another blow to him. You can use a combination of a few basic attacks followed by a guard break card (blue) card when your opponent is defending. Tap the first card and your character will perform that particular move as shown in the card. While he does that, quickly tap the second active card – this will make him perform the next move (as shown in the second card) immediately after finishing his first move. Include strike cards and guard break cards in your deck. If your opponent is blocking, then combining two strike cards won’t be effective. You will have to combine a guard break card (blue) with any strike card to pull off a successful Waza combo. Keep experimenting with cards by combining two cards with different background colors, (green with orange or orange with red or blue with green or red) to see some amazing back-to-back strikes. If you have several cards, the first thing you should do is add those cards that take less time to charge. You don’t want to wait and wait for a card to charge until your opponent starts attacking your fighter. There’s a timer above each card, showing the time it will take to charge up. Try to include cards that take less than 6 seconds to charge. A card that deals more damage but charges up quickly can be a great addition to your deck, for example: Ling Xiaoyu’s Clouded Peak card. To build your own deck, go to “Fighters” and then tap a fighter card. Tap “Waza Cards” on the right side of the screen. Next, tap the plus sign (green button). You can arrange cards by placing those with low charge time on the top row followed by those that take more time. You can drag extra waza cards to your deck to replace the unwanted cards. When you select an Act and then a chapter, you will be asked to choose three fighters to begin with. These 3 characters will be “locked” until the chapter finishes. By “Locked” I mean that you cannot replace them with other fighters (unless you abandon a match), level them up or change cards. Fighters locked in story mode cannot regain HP automatically, so if a fighter finishes a fight with 60 percent HP remaining, he will continue the next fight with the same level of HP. Also, a locked Knocked out fighter can’t be revived unless you have used a minor revive potion. The KOed fighter will take some time to revive after you have finished a chapter or abandoned it. 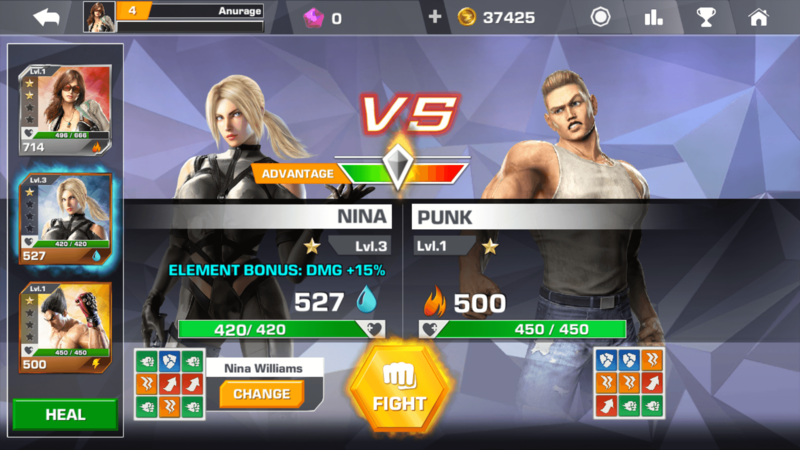 In Tekken Mobile, you must make sure that your fighters don’t get KOed in the middle of a chapter and the best way to do is to heal a character whose Hit Points have reduced considerably. The chapter boss can be tough to beat so you should have all three fighters in good health before the ultimate fight. Complete chapters to get fighter fragments. You will get only one fragment, but you can get more if you replay the same chapter again and again. 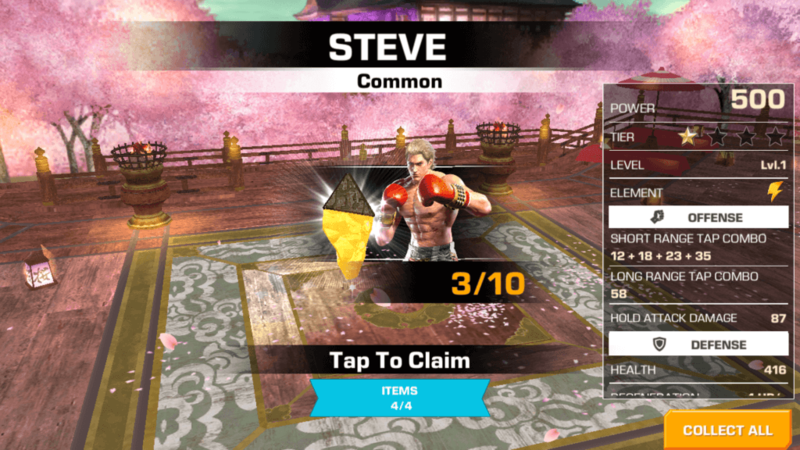 Fight other players’ fighters in the Dojo mode to get chests, which may contain fragments. The Attack mode under “Dojo” is a 3 Vs. 3 PvP mode, so choose your best fighters to win 2 out of 3 matches if you want to win chests. Participate in live events and win a match to get a random 2-star fragment. Not all live events grant fragments as rewards. Some may grant fighters. Keep an eye on the Daily Battle Character to get fighters. You will get some cool rewards by logging in daily. These include 1-2 star fighters, basic packs that contain tier 1 and tier 2 items, shards to upgrade characters, coins with which you can purchase valuable items, battle tokens that can be used to purchase special items at the store, 1 or 2-star fighter fragments, premium packs (later in the month) that contain rare items and an epic pack at the end of a month. The epic pack contains 3 -4 tier content. Tap the envelope icon on the upper-right corner of the screen to claim your daily rewards. 10. When should you abandon a Chapter? When you tap a new chapter for the very first time, you will be given a chance to select three of your best “attackers”. In case you have mistakenly selected a weaker attacker or aren’t impressed by your choice after playing the first few matches, you can change your fighters. To do this you will have to abandon the current chapter. But make sure you have abandoned a chapter early on. If you abandon when you are in the middle of a chapter, you will reset your progress and will have to start from the beginning. Bye bye skill system! Welcome Runes. The new Tekken Mobile update has replaced the skill system with a rune system. You will have to equip runes to your characters to power them up. You will get runes from Dojo and live events. There are over 80 runes to collect and each rune has a unique icon that suggests a boost effect on a particular stat or card. You can also get them from basic packs and epic packs. Make sure you have collected the free Rune Starter Pack from Shop > Featured. 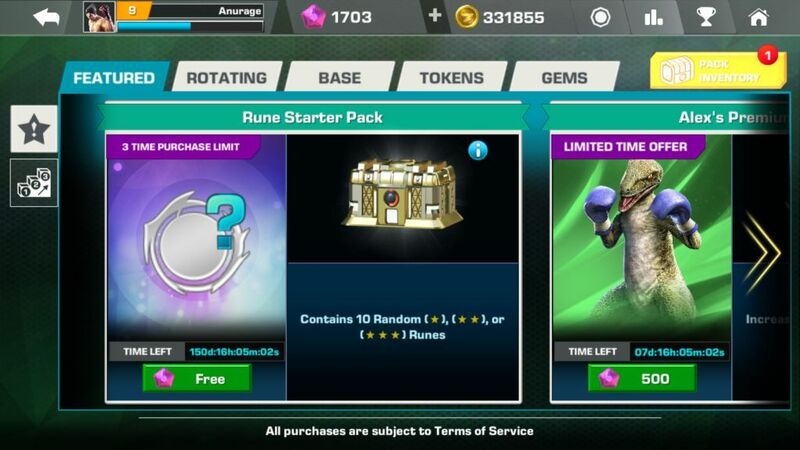 The starter pack contains 10 random one-star, 2-star and 3-star runes. You can get up to three free packs, so grab this offer before it expires. Tap “Fighters” and then tap a character’s portrait. Under “Upgrade”, you will see a new section called Runes. When you tap it, you will be taken to a new page where you can equip runes to unlocked slots. To unlock a rune slot, you will have to reach a certain player level. Before dropping it into an empty slot, tap a rune to know what powers it grants to your character. Both slots and runes are grouped into 4 colors: Red (Attack), Green (Utility – HP regeneration, more fragment drops etc. ), Blue (Waza) and Celestial (Special). When you drop a rune into a matching color slot, it will boost the rune’s effect by a certain percentage, which can be clearly seen by the numbers changing to green. Try to add a blue rune into a blue slot and another blue into a red or green slot to see the change. There’s a special “celestial” slot in which you can put a rune of any color to get bonus effect. For best results, tap the “Auto-Fill” button to let the AI decide. Don’t forget to tap the “Save Changes” button after you have placed runes onto their respective slots. Each character’s rune slot colors are different from the other. You can filter runes by color or rarity. 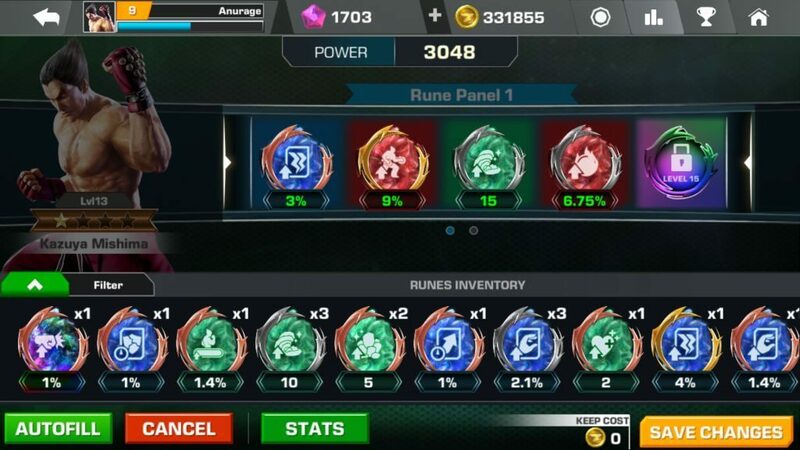 The filter system can be very handy if you have collected several runes and want to see how many red or blue runes you have or know their rarity. The rarity is denoted by the border color of a rune (bronze, silver, gold). You also cannot get Waza card via character fragments. Bandai Namco has made it game into pay to win, by increasing the cost of everything. Thank you. Post updated with a new Runes section. And one more tip: If you are losing, restart the game to get full health.